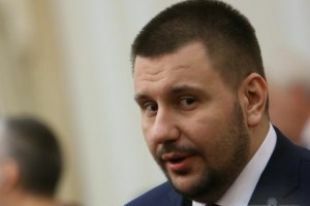 Klymenko: Renaming of streets will cost the country more than UAH 5 billion ⋆ News ⋆ Official website for Oleksandr Klymenko. The implementation of the Law “On the condemnation of the Communist and National Socialist (Nazi) totalitarian regimes in Ukraine and prohibition of the promotion of its symbols”, adopted by the Verkhovna Rada yesterday, April 9, will cost the Ukrainian budget not less than UAH 5 billion. Such data was presented by Oleksandr Klymenko – ex-ministerof revenue and duties​, the founder of the initiative «Restoration of the Donbas» – on his Facebook page. The politician said that this law, as other laws on decommunization, which were adopted on that day, do not benefit. It was adopted in order to divert attention from the real problems. 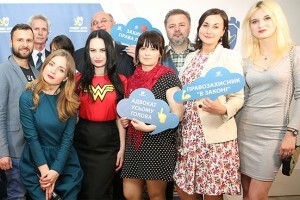 It seems that this” law “was adopted specifically for society in order not to distract it from the pressing problems and to dispute about how to rename a street, whether Lenin street, or or Shukhevych avenue, or Savchenko boulevard ” – says Oleksandr Klymenko. In addition, he noted the direct negative economic impact of the streets renaming of Ukrainian cities. According to average calculations, renaming campaign will cost the state the sum, which is comparable with the budget deficit. “It is an absurd that in a state, where the external debt reached 96.5% of GDP, the budget deficit is almost UAH 9 billion, the average wage is barely $ 100, there was adopted useless law, which requires UAH 5 billion”- says Oleksandr Klymenko. According to his calculations, this sum is necessary for the renaming of streets, alleys, squares and other urban place names, which have names related to the Soviet past. «In Ukraine, there are 459 cities, in each of them has per 30 streets with names associated with the Soviet past. Total costs will be UAH 413 million. Plus 885 urban settlements, where, per 10 streets should be renamed. That’s UAH 265.5 million. Plus 28,450 villages per 5 streets – 4 billion. 267 million. Total – at least UAH 5 billion, “- concluded politician. In addition, the initiators of the adoption of this draft law did not take into account the fact that any organizations, both private and public located on the renamed streets will have to change the charter documents, registration certificate, seals. This is additional expanses of time and money.